The Gibson Performance UTV Single Exhaust for 2004-07 Yamaha Rhino 660 provides superb power and quiet operation. This Gibson stainless muffler features a louvered and chambered internal muffler core, hence no packing. 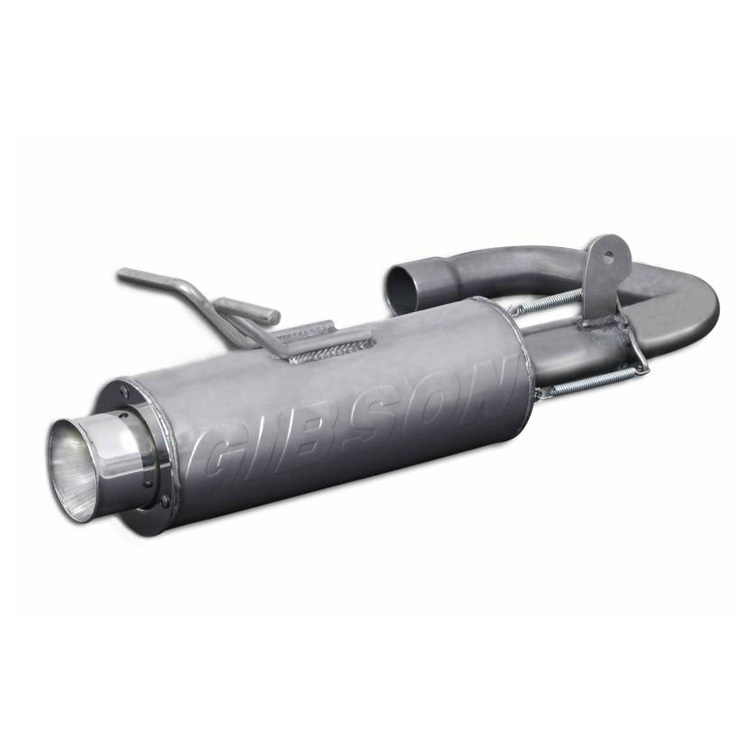 Gibson has incorporated rubber mounting points and a compression spring fitting, allowing for extreme flexibility during the toughest terrain, finishing with a mirror bright polished T304 Stainless exhaust tip. Specifically this full length stainless header utilizes 1.50 inch mandrel bent primary tubes to produce maximum performance throughout the entire power band. Includes improved OEM style connecting points for maximum strength and durability. Furthermore, this Gibson muffler is manufactured with 16 gauge stainless header flanges that will keep your header intact for constant fun. Of course this is a direct fit replacement and includes all hardware for a hassle free bolt on installation. 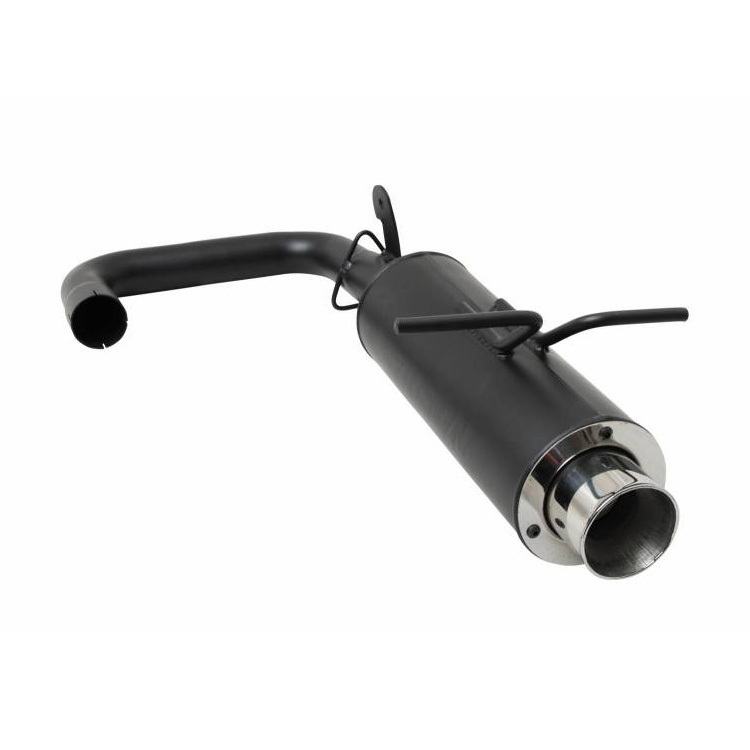 In fact, this muffler boasts the lowest sound level on the market and consequently meets all sound requirements. Also includes a USFS Approved Spark Arrestor. Polished T304 Stainless exhaust end cap.